Our Ancient Cities and East/West Coast itinerary is a 15-day taster holiday for culture and history buffs! 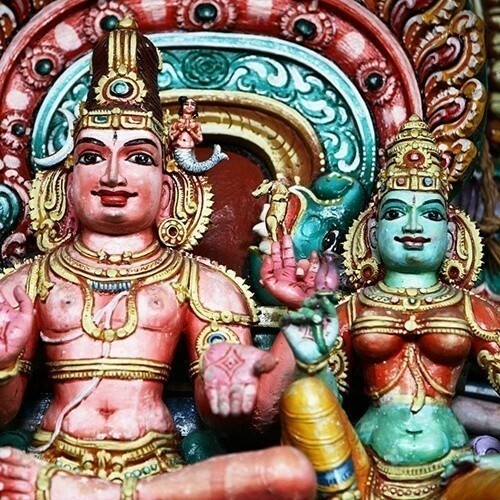 Guided tour of the island's Cultural Triangle (ancient cities area), beginning with visits to Anuradhapura, the first capital of ancient Lanka in the 3rd century BC, and Mihintale, the cradle of Buddhism in Sri Lanka. 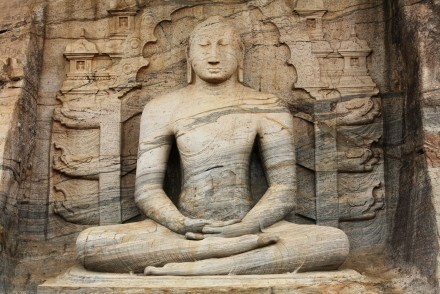 Then on to Polonnaruwa, the island's medieval capital, the impressive cave temples at Dambulla and the incredible rock fortress of Sigiriya before heading south to Kandy, the final principal point of the Cultural Triangle and the capital of the last Sinhalese kingdom. 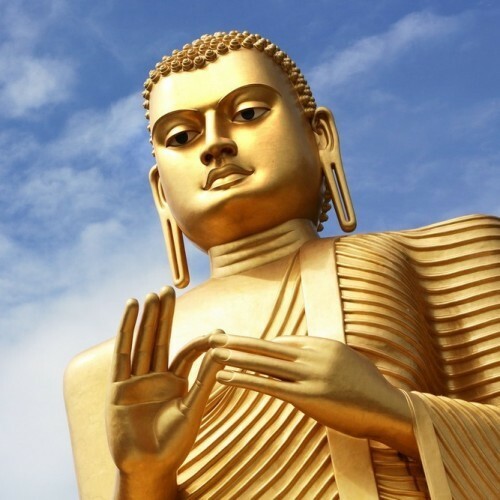 Also visiting the lesser known sites of Aukana, Nalanda and Aluvihara on the way round the Cultural Triangle as well as having the chance of seeing elephants in Minneriya NP. 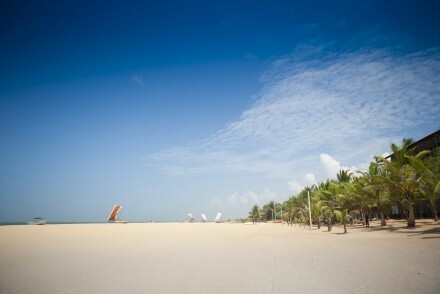 Beach stay on a palm-fringed tropical beach on either the east coast (May to October) or west coast (November to April). The accommodation is a combination of locally-run resort hotels and a former colonial-era residence. 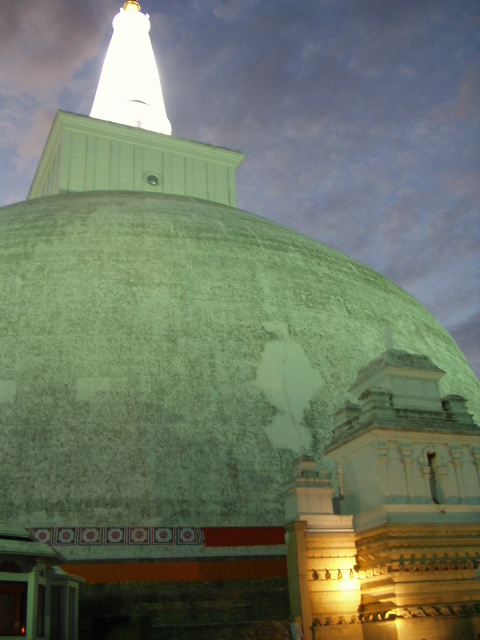 Remember that all of our holidays to Sri Lanka and Maldives are truly tailor made with no set dates, accommodation, duration, routes or visits, so each holiday is unique and specially created to your very own interests and requirements. Take a look below at the outline itinerary as an inspiration for creating your own cultural and historical holiday. 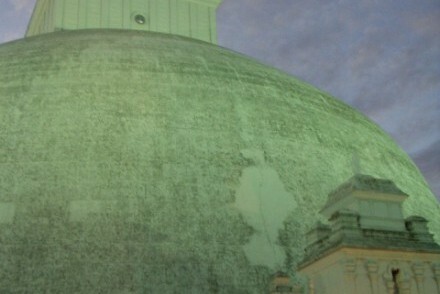 Other ideas for your visit to Sri Lanka and Maldives with Tikalanka. Includes flights, accommodation, a/c transport with chauffeur guide, activities & taxes. 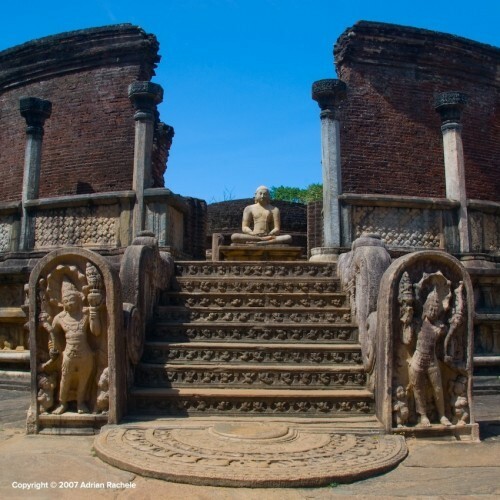 Head north into the island's Cultural Triangle to Anuradhapura, the first capital of ancient Lanka in the 3rd century BC. Two nights at a resort hotel set in 20 hectares of grounds, including a lake used by elephants, deer, water buffaloes and wild boar as a watering hole. 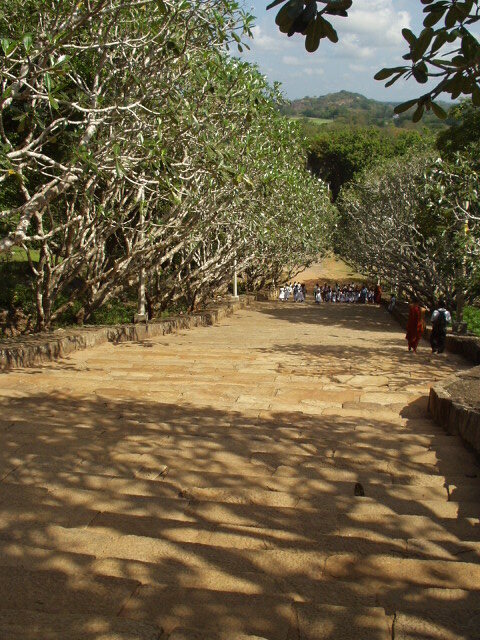 Visit the hilltop temple of Mihintale, the cradle of Buddhism in Sri Lanka. 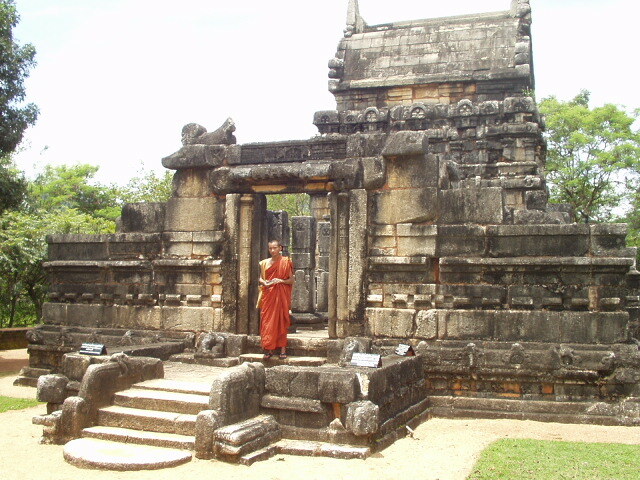 Guided tour of the ancient city of Anuradhapura, with visits to the preserved and partially restored ruins of the three principal monasteries: Mahavihara, Abhayagiriya and Jetavnarama. 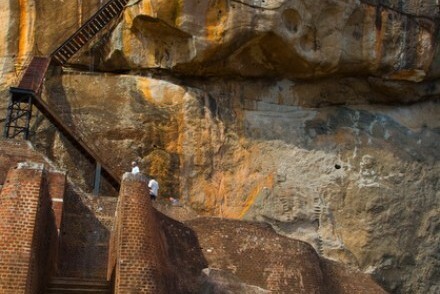 Continue round the Cultural Triangle to Sigiriya, visiting the magnificent 12-m high standing Aukana Buddha on the way. Three nights in a resort hotel situated in private open grounds frequented by wild peacocks and surrounded by woodland with stunning views of Sigiriya rock fortress. 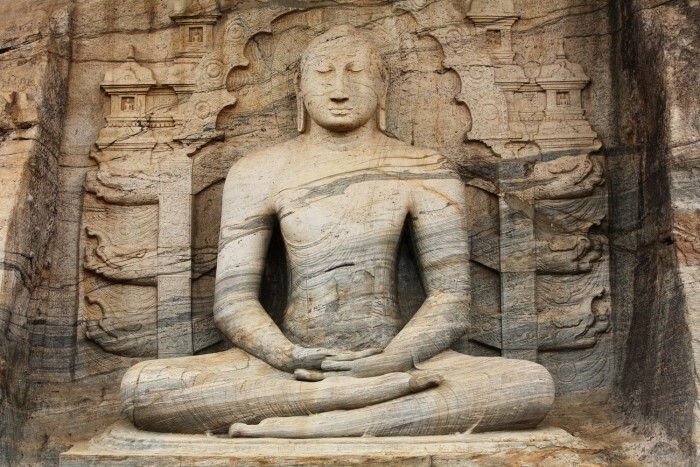 Visit the medieval capital of Polonnaruwa, with its historic temples and exquisitely carved statues. 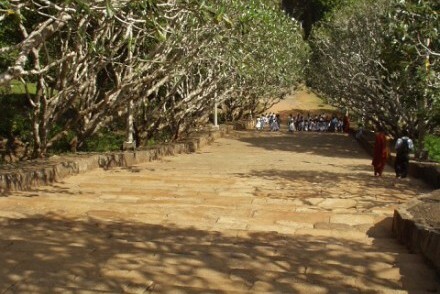 Jeep safari in Minneriya NP to see elephants and a spectacular array of Sri Lankan bird life. 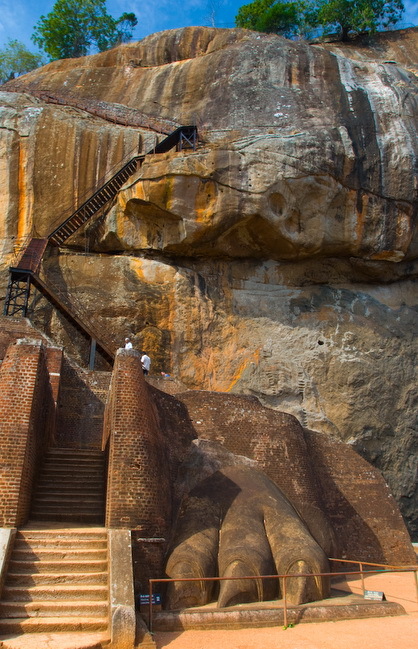 Early morning ascent of the rock fortress of Sigiriya to view the surrounding countryside at dawn – a very special experience indeed. 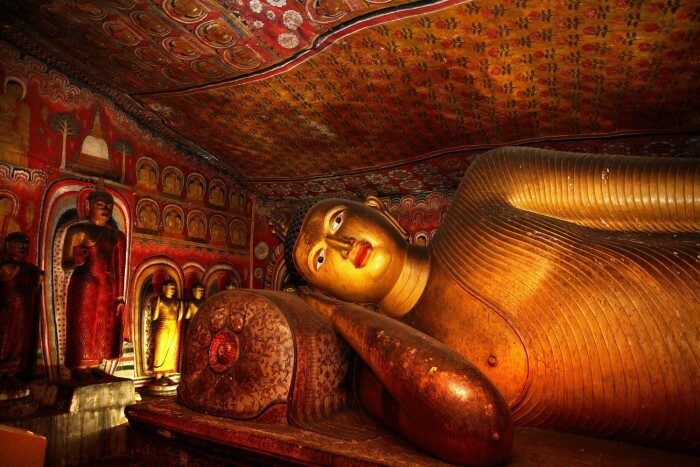 Visit Sri Lanka’s finest cave temples at Dambulla, which date back to the 1st century BC. 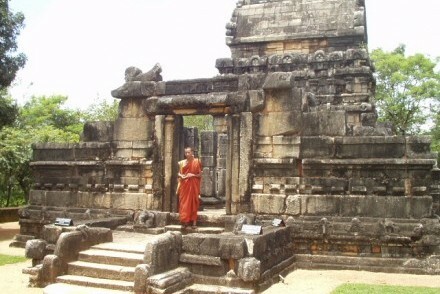 Visit the Dravidian-influenced stone temple at Nalanda. 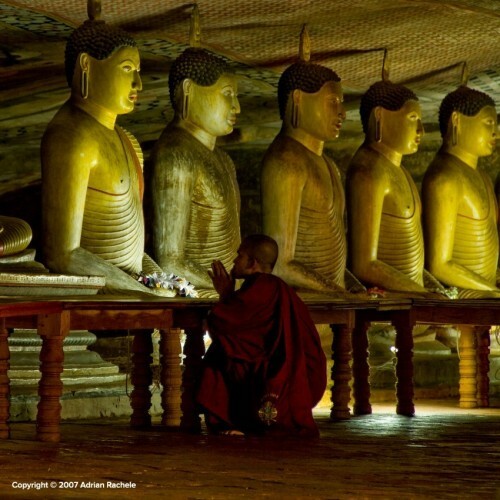 Visit the rock temple and scriptorium of Aluvihara. 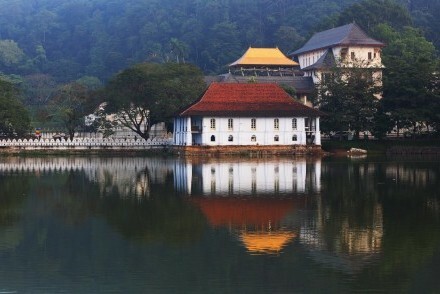 Continue to Kandy, one of the principal points of the Cultural Triangle. Two nights in a colonial-style hotel and former British governor’s residence set in a quiet and secluded location overlooking the lake. 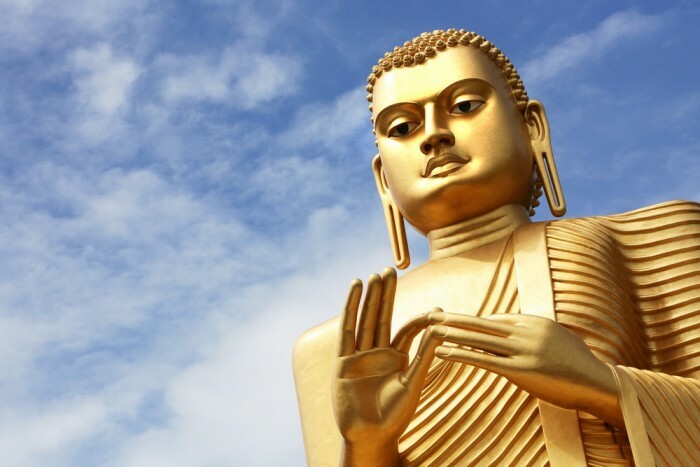 Experience the Buddhist puja (blessing ceremony) at the Temple of the Tooth, which houses Sri Lanka’s most revered religious relic. 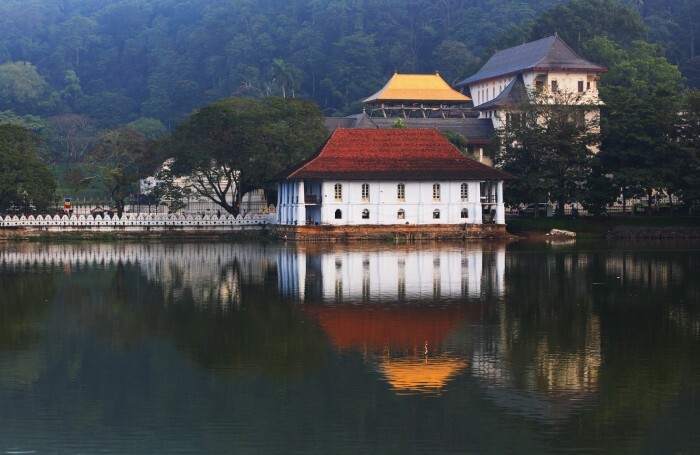 Guided walking tour of Kandy, which will take in the Hindu temples, the lake and the municipal market. Visit the beautifully kept and well-presented Peradeniya Botanic Gardens. 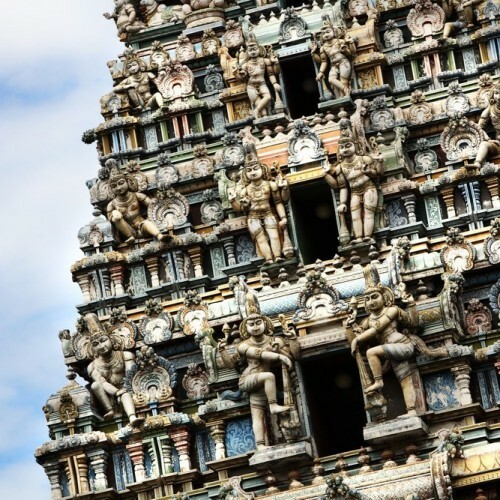 Enjoy a performance of the famous Kandyan Dancers and Drummers, with a fire-walking finale. Stay for six nights at either Nilaveli on the east coast (May to October) or Waikkal on the west coast (November to April). If staying on the east coast, return to Negombo on the island’s west coast near to the airport for an overnight stay before the flight home. If staying on the west coast, transfer to the airport for your flight home.